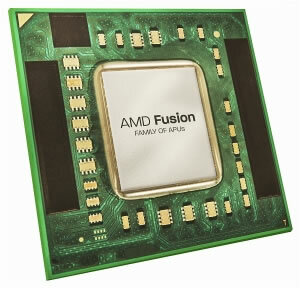 According to DonanimHaber, AMD is preparing to unleash a new flaghsip A-series Fusion processor by the end of the year. The A8-3870 is expected to ship with a core clock frequency of up to 3.1GHz along with an unlocked multiplier for effortless overclocking -- a feature that many missed on the recently launched A8-3850. Besides elevating the clock speed by 200MHz and making the multiplier adjustable, the A8-3870 should be mostly identical to the 3850. It'll have four processing cores alongside a 600MHz Radeon HD 6550D graphics core, a 4MB L2 cache (no L3 cache), support for up to 1866MHz DDR3 dual-channel RAM, and a 100W TDP. The A8-3850's locked multiplier makes it more difficult to overclock the processor cores because you're forced to raise the clock speed of the graphics engine and memory controller as well. We didn't have much hope for overclocking the APU, but we increased the clock speed of our review unit by 25% without adjusting the voltage. That's a respectable increase and it granted Llano a 13% to 31% boost in our software benchmarks, putting it that much farther ahead of Sandy Bridge in single-chip gaming performance. With the A8-3870's added flexibility, it's fair to expect even better results than that, especially if you're willing to tinker with the voltage settings. This news follows less than a week after word broke of AMD's plans for a triple-core A-series processor. Expected to launch as the A6-3500, the part is virtually identical to AMD's pending A6-3600 (four processing cores clocked at 2.1GHz alongside a Radeon HD 6530D graphics core), except one of the CPU cores is disabled.